7:00pm Catered Dinner and program. 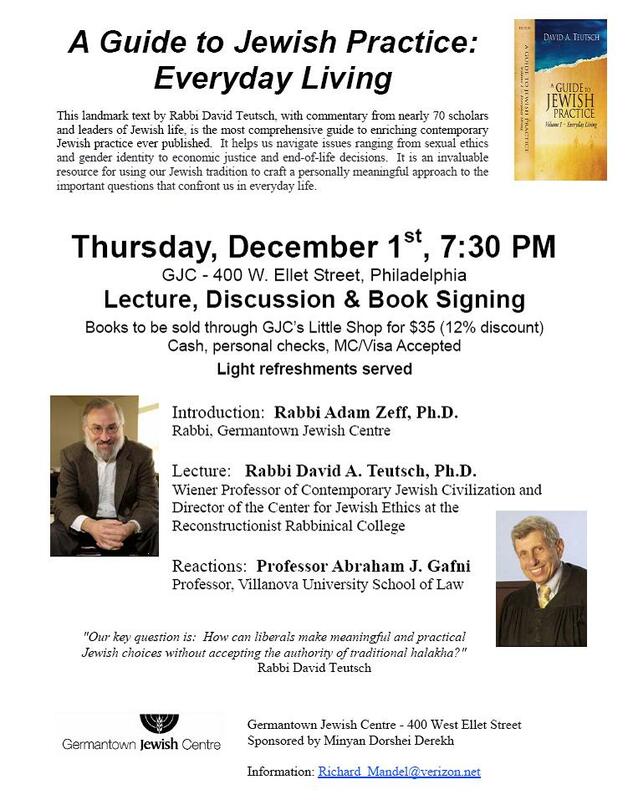 12:30pm Extended Kiddush and Program – Free, bu RSVP appreciated, see below. Babysitting will be provided both Friday night and Saturday, courtesy of Dorshei Derekh. This is hard to read, but if you click on it, it will enlarge and be clear. This is hard to read - click on it to enlarge. 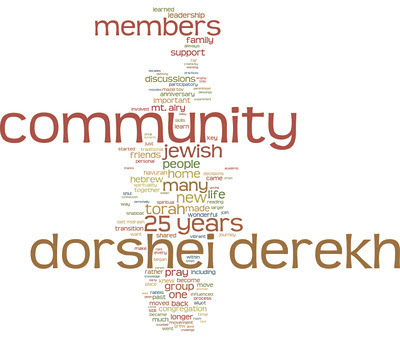 Kudos to Mikael Elsila for creating our DD Word Cloud! Nathan Reports on the Recon Rider Team Results - #1!! This year’s Recon Rider’s team at the Hazon NY Jewish Environmental Bikeride – which included several Dorshei Derekh regulars and other GJC folks – was a tremendous success. The Recon Riders were the top team both in terms of numbers of participants and in fundraising. In addition to its regular terrific programming, Hazon chose to focus of the Shabbaton on the theme of food justice and several Recon Riders also helped lead and teach the Hazon community during the weekend. 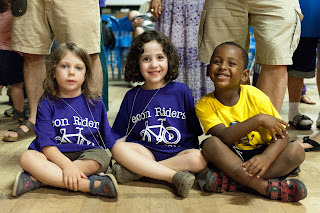 For more information about the ride, check out http://www.hazon.org/programs/new-york-ride/. 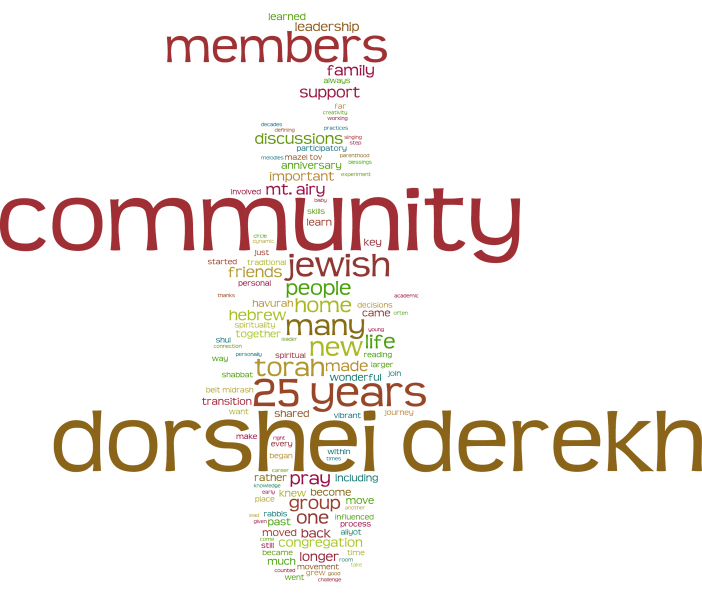 And once again thank you to all the members of the Dorshei community who supported this year’s riders. Your support made a difference for us and for the environment!